Well, if you’re reading this, you’re either 1) completely fed up with your current ad agency or 2) you’re feeling overwhelmed/overworked with your position and you’d like to call in the professionals. I hope this post will help guide you and tell you what our experience has been during an agency review. Take some deep breaths and read on! First of all, if you’re with an ad agency now, I urge you to do everything in your power to restore your working relationship to what it was when you were happy. Like all relationships, there is work to be done on both ends. Hopefully the relationship can be saved and you’ve caught it early on. I’m not defending bad behavior or bad customer service by any means, but just like any business, ad agencies have turnover and sometimes all it takes to sour a client relationship is a personality conflict or a newbie mistake. If you were ever happy with your agency, ask yourself what’s changed and what can you do to make that relationship successful again. NOT that it’s your responsibility as the client to do this, but I feel like in the long run, it’s 100% easier to fix a slightly damaged relationship than to replace an ad agency and train a new one on your account/industry. The beauty of an ad agency is that you get experts in marketing, branding, programming, media buying, etc. that you only have to pay when they’re working on your account. To hire the same talent in-house could cost you hundreds of thousands of dollars annually BEFORE you pay for media buys. Hiring an agency is the best way to have experts on your team without paying experts full-time. Not to mention you don’t have to pay for days off, FICA match, vacations, technology, office space, healthcare, etc. Put together a list of attributes that you would want in your ideal agency partner and rank them according to your needs. Maybe award winning creative is important to you or maybe you want a small, boutique agency that can deliver personalized service. I often hear from new clients that they chose us because we had experience in their industry that will ultimately save them money because we already have the background of their competition. Visualize working with your ideal agency and see what that looks like. Maybe you want a firm in your own area, maybe another country is fine with you. Whatever you value as important should go on the list, even if it’s as small as a dedicated AE that you can call on regularly. You’re doing the hiring, so you get to say what’s important. This isn’t a one size fits all type of list. After you’ve completed your list of features, as with most modern searches, you can start with Google. Find the top 8-10 agencies in your area by doing a Google search. After that, ask your professional network and possibly some executives in your own company for names of firms they’re familiar with or possibly worked with in the past. Post feelers on social media (after you’ve given your current agency notice) and see whom other people in your network are using. Use this list to cross with the Google search. You’ll want to do some preliminary research on the agencies you’ve come up with. This can be done by visiting their website or by picking up the phone. It depends on how many agencies you want to include in your search, but I would recommend no fewer than five. If you go the website route, this should really give you all the info you need. 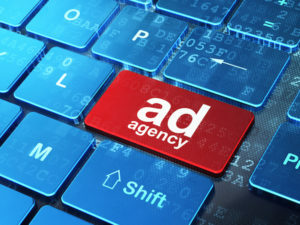 If an agency can’t sell themselves on their own website, where can they sell themselves? This is the ultimate sales tool for agencies. There’s no client telling them what to say or do, (no offense!) You should be able to gather most of the info you need by surfing for a couple of hours. If you don’t “get” their website, chances are it isn’t a match. If you prefer one-on-one banter, then pick up the phone. Introduce yourself and let them know you’re compiling a list of agencies to avail for a Request for Proposal (RFP.) It’s always best to eliminate firms that won’t be able to meet your criteria early. Smart firms will appreciate the extra effort you’re making to not waste anyone’s time. Ask whom you should direct your RFP to and get their email/contact info. After you’ve compiled your short list of firms to consider, now you need to create the actual RFP. The basic elements of the document are: Background/history on your account, your goals– such as increase sales 20% or bring 200 new customers/month to your website, the length of contract and your annual budget for both media and creative. These are the areas that will help everyone know if it’s a potential fit. Then you need to request the elements you want to see FROM the agency about their firm. Personnel at the agency including bios/resumes, annual billings, a list of who would work on your account, experience in your category, samples of work they’ve done for similar clients, compensation structure, awards they’ve won, client references, their understanding of your account, their processes, etc. Try to be very clear on what you want to see in the response documents. Itemize by line so every agency will be sure to give you what you want. Sometimes a percentage of decision is noted on each line. For example, Experience in Your Industry may be 25% of the evaluation formula. It’s generally frowned upon to request spec creative as there’s no way an agency will know your account well enough to hit the mark. Smart agencies won’t even entertain the idea in a pitch. It’s a surefire way to waste resources and possibly eliminate their firm without a fair fight. Be clear on the submission date and time. State exactly when you expect to see proposals, in what format, how many copies or are PDFs via email ok, etc. After the stated time, don’t accept late submissions for obvious reasons. Agencies live and breathe deadlines; if they miss the first one, there’s a problem. Now you’re ready to send out the RFP. These are generally emailed to the firms that made your short list and vetting process. The agencies will most likely follow up with questions, thanks for including them, etc. Make sure that when agencies email/submit questions to you, all agencies on the RFP are given the same questions/answers. Generally, a second email is sent out from the client with questions/answers about a week after the original RFP. This keeps the playing field even so that all the players have the same information. After the proposals are all in, you can review and score as you want. Some of the proposals will most likely self eliminate just by not meeting some of the criteria you feel is important. You may have questions for some of the firms before you decide whether to call them in. Feel free to pick up the phone and/or email your questions if their proposal isn’t adequate. Make your list of whom you want to call in for an in-person meeting at your offices. Be prepared for at least an hour (and probably longer) presentation from each agency. This is the fun part! You get to meet who you’d be working with, probably the owner/president of the agency and possibly some of the creative and media teams. If these departments weren’t represented in the meeting, I’d question why. You deserve to meet who you’d be working with at your new agency. Some firms will send in their executives to win the business, but then once the account is won, they’ll assign a more junior person to the day-to-day communication with you. This isn’t ideal and something that needs to be discussed upfront. You can make the second round of discussions at their offices if that’s important to you. If you want to see where they work, meet more of their staff, etc. In today’s climate this has become less important as business is done all over the world—literally. Ok, so you think you’ve narrowed it down and you think you know whom you want to go with. You should review their contracts and possibly run through your attorney or legal department. Some agencies retain the intellectual property of their creative; some agencies let clients own the creative product. Some agencies have cancelation policies that may not be acceptable to you. Other agencies work on a retainer basis, some work on media commissions with project-based creative. The options are varied, but you should have gotten a good idea from their proposal on how they prefer to work. Just make sure you’re comfortable, as with all contracts, if things don’t go perfectly or if you want to make a change. I encourage you to try and figure out how the agency works. What do they do when there’s a campaign that doesn’t perform? Read some case studies they’ve provided (hopefully) and take note of how they measured success. It’s important for the client and agency to establish the KPIs it will track on your account up front. That way the agency is clear that analytics are a part of the account from beginning to end and everyone knows what success looks like. The more you can discuss what success looks like for each party involved, the more successful the relationship will be. There’s nothing better than a long-term agency/client relationship where everyone is happy, successful and profitable! Hopefully this post has helped you think through the process of finding an agency and has maybe educated you on what to expect along the way. As with all relationships, honesty and open communication is key. Clients deserve to work with agencies that support them and want them to succeed. Best of luck in your search!